Silver hammered voided longcross penny. Cut quarter. Henry III issue; Class 2 or 3. Newcastle, Northampton or Norwich mint. Silver hammered voided longcross penny. Cut half penny. 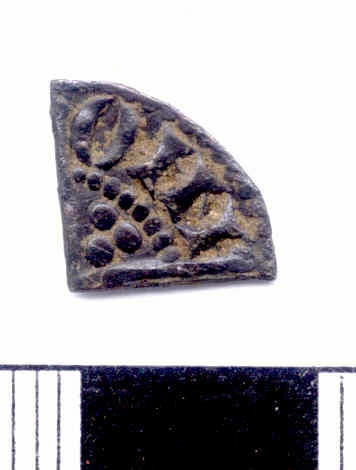 Henry III issue; Class 3a. 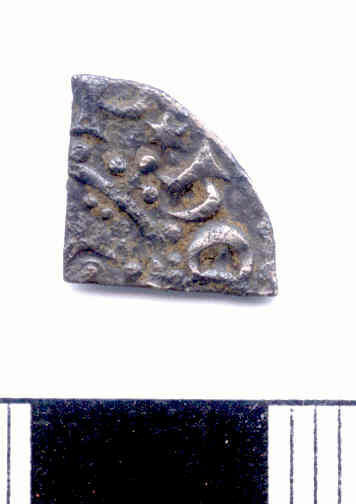 Oxford mint..
A fragment of a silver voided longcross cut halfpenny of Henry III, 1247-1279, Northampton or Norwich mint. Class 3. Silver hammered voided longcross penny. Cut half penny. Henry III issue; probably Class 3.